Schaal, S., Peters, J., Nakanishi, J., Ijspeert, A. This paper discusses a comprehensive framework for modular motor control based on a recently developed theory of dynamic movement primitives (DMP). DMPs are a formulation of movement primitives with autonomous nonlinear differential equations, whose time evolution creates smooth kinematic control policies. Model-based control theory is used to convert the outputs of these policies into motor commands. By means of coupling terms, on-line modifications can be incorporated into the time evolution of the differential equations, thus providing a rather flexible and reactive framework for motor planning and execution. The linear parameterization of DMPs lends itself naturally to supervised learning from demonstration. Moreover, the temporal, scale, and translation invariance of the differential equations with respect to these parameters provides a useful means for movement recognition. A novel reinforcement learning technique based on natural stochastic policy gradients allows a general approach of improving DMPs by trial and error learning with respect to almost arbitrary optimization criteria. 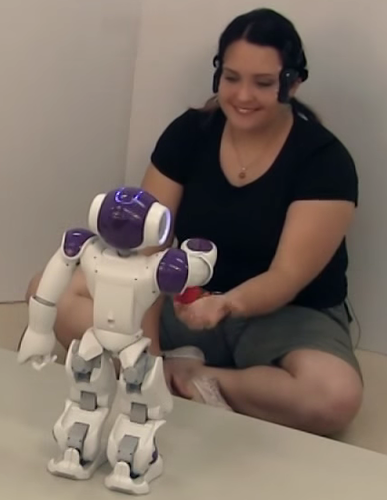 We demonstrate the different ingredients of the DMP approach in various examples, involving skill learning from demonstration on the humanoid robot DB, and learning biped walking from demonstration in simulation, including self-improvement of the movement patterns towards energy efficiency through resonance tuning. 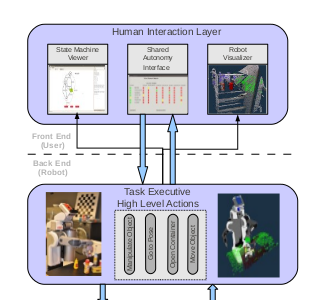 This article summarizes our framework for learning biped locomotion using dynamical movement primitives based on nonlinear oscillators. 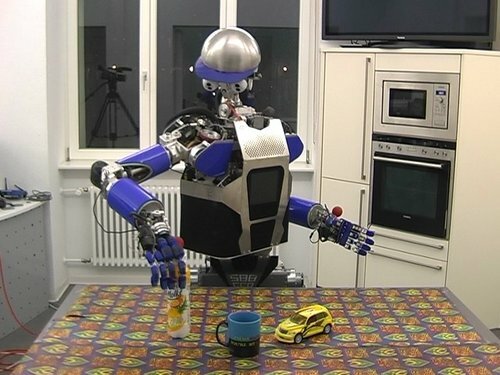 Our ultimate goal is to establish a design principle of a controller in order to achieve natural human-like locomotion. 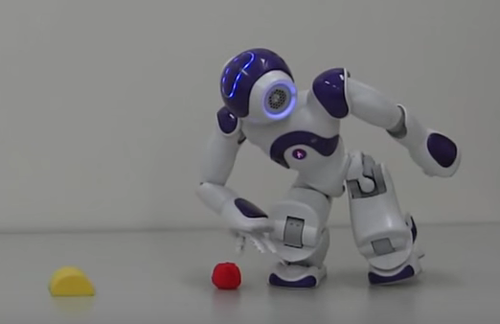 We suggest dynamical movement primitives as a central pattern generator (CPG) of a biped robot, an approach we have previously proposed for learning and encoding complex human movements. Demonstrated trajectories are learned through movement primitives by locally weighted regression, and the frequency of the learned trajectories is adjusted automatically by a frequency adaptation algorithm based on phase resetting and entrainment of coupled oscillators. 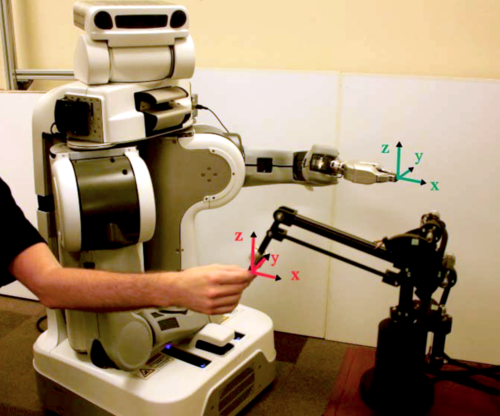 Numerical simulations and experimental implementation on a physical robot demonstrate the effectiveness of the proposed locomotion controller. Furthermore, we demonstrate that phase resetting contributes to robustness against external perturbations and environmental changes by numerical simulations and experiments.